Here's a new series useful to fill plenty of solo and ensemble needs. 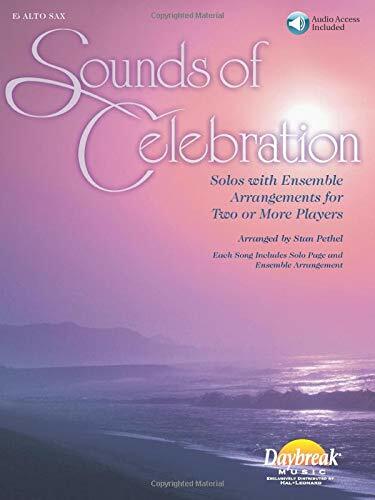 Whether it's a soloist using a book (accompanied by piano or the fully-orchestrated accompaniment track) or two, three, four players, or a full orchestra, Sounds of Celebration is a uniquely flexible new idea for church instrumentalists! 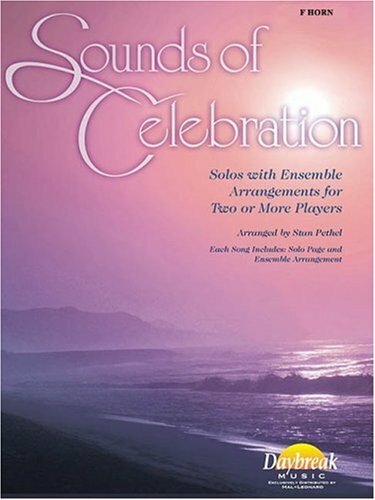 Each book includes a solo line and an ensemble line. Mix and match lines with different instruments if used with an ensemble, or play the solo line when used as a solo book. Titles include: As the Deer * Give Thanks * He Is Exalted * Lord, I Lift Your Name on High * More Precious Than Silver * Shine, Jesus, Shine * Shout to the Lord * and more. Antonio Mendez is the farmer chief of disguise for the CIA.A recipient of the CIA's Intelligence star of valor, he is the author of The Master of Disguise. Jonna Mendez is a twenty-seven years veteran of the CIA who served as a technical operations officer and chief of disguise. Tony and Jonna liye in Maryland with their son. Jesse. Bruce Henderson is the author of Fatal North and coauthor of the #1 New York Times bestseller And the Sea Will Tell.